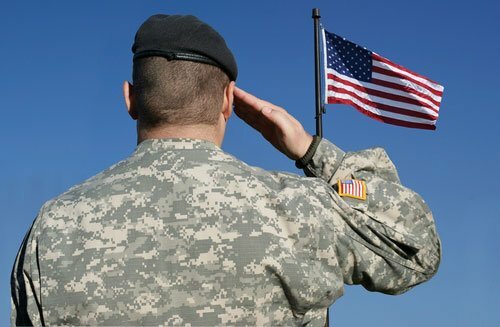 Legislation protecting servicemembers in Indiana in ways similar to that of the federal Servicemembers Civil Relief Act was recently approved by members of the state’s House of Representatives in an effort to provide an extra layer of protection for on-duty Hoosiers. The legislation was unanimously approved by the Indiana House on February 2. The bill was designed to increase the consumer protections of servicemembers in Indiana, and reflects a proposal from late in the summer of 2014. At the time Indiana Attorney General Greg Zoeller joined State Sen. Jim Arnold to discuss a proposal meant to offer state remedies for breaches of the federal SCRA, a local NBC affiliate, WNDU, reported. The Servicemember’s Civil Relief Act was passed in 2003 to update the Soldiers’ and Sailors’ Civil relief act by updating the legislation to reflect modern life, incorporating court interpretations over the decades and clarifying the language of the bill. SCRA offers protections for servicemembers with active-duty status, reservists and members of the National Guard. Indiana’s version of the legislation essentially reflects that of the federal bill. For example, the bill allows active-duty servicemembers to suspend or postpone obligations such as debt collections, foreclosures, evictions, judicial and administrative proceedings and some lease or service terminations. The state-level legislation would also include protections specific to Indiana. The state is currently home to about 550,000 veterans, and has one of the largest state populations of such persons in the country, WNDU noted. Other states, such as Illinois and Kentucky also have legislation in place to provide state-specific protections to servicemembers in addition to those included in SCRA. Prior to the proposal detailing a state-level plan to protect Indiana soldiers, Zoeller and 12 other state attorneys general took action against a company that was providing military members with false and misleading credit options. Rome Finance, the company involved now has to pay back close to $92 million in debt relief to over 17,000 U.S. servicemembers and other persons that were financially harmed by the firms actions. House Bill 1456, which was authored by State Rep. Dennis Zent, was so popular that many state representatives clamored to join the Angola republican in authoring the legislation. The bill is heading to the state senate after passing the house on a vote of 94-0. Under the bill, the Indiana National Guard will have to publish on its website a directory of active duty military members as well as their rights according to both the state and federal servicemember civil relief acts, which will prove helpful to debt collectors in Indiana. Hoosier soldiers are already provided with a number of protections. One tool available to active-duty servicemembers in Indiana will be a credit freeze. By placing a freeze on their credit reports, soldiers will be able to block identity thieves from opening a new account or obtaining credit in their names. This is also a service available for free to all Indiana residents. Specific to soldiers’ credit reports though, is the active-duty alert. This warning can be placed on servicemembers’ credit reports, and is something that firms attempting to access an active-duty persons’ report must be aware of. If that warning appears on a credit report, be sure to first obtain third-party permission before continuing. Persons who can offer permission include a spouse or close family member. Additionally, Indiana servicemembers are offered the right to terminate leases on apartments and vehicles if they are called for deployment. Persons leaving for service may contact leaseholders in order to cut-off their leases before leaving. Finally, active-duty persons in Indiana can cap their interest rates. Soldiers can cap the interest rates on most outstanding loans at 6 percent under the SCRA. Debt collectors in Indiana should keep an eye on what happens to HB 1456 as it moves ahead into the state Senate. The bill’s unanimous passage in the House bodes well for bipartisan support, and the well-being of military families has been in strict focus as of late with the Consumer Financial Protection Bureau detailing a number of the financial troubles servicemembers have faced as of late.